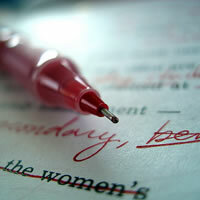 What’s the one thing every writer must do to be considered a professional? Get their articles published and get paid for it. Last week I reviewed Roy Stevenson’s eBook, “Free and Low Cost Travel: Inside Secrets of a Successful Travel Writer“, about how to enjoy one of the perks of being a professional travel writer. Now I know you’re probably thinking there’s dozens, maybe many dozens, of books about becoming a professional writer and how to market your work…. …But I have never known another freelance writer who has accomplished the level of professional success that Mr. Stevenson has in the timeframe in which he’s done it. He has sold over 600 articles to magazines in just 48 months. That alone qualifies him to be in a position to educate other writers, and speaks to the validity of his advice. As with Mr. Stevenson’s other eBook, I am impressed with the depth and thoroughness of the instructions the author presents, and that he does so in a very logically structured format. While he doesn’t try to teach the craft of writing – after all, there are many books and courses available to teach one good writing skills – he does lay out the process from start to finish in such a way that a raw beginner should be well on the way to selling articles in short order. I was also impressed with how Mr. Stevenson presented his personal views on the issues of writing for free and the blogging-vs-writing debate…..he doesn’t shy away from sharing his feelings but does so in a balanced manner based on logic and reason, and fairly presented both sides of each issue. I really liked that the end of each chapter includes a “Summary and Action Checklist” to keep you focused on productive tasks, and that the book generously includes numerous sample letters and examples from his own experience. But above all I loved most the fact that Mr. Stevenson is also a gifted editor who understands that in today’s short-attention-span world, brevity rules – he doesn’t waste words or pages on fluff. At Eighty-one pages it may be one of the shortest books on how to turn a hobby into a profession, but it’s stuffed full of more good advice and strategies than many longer (some much longer) books on the subject of travel writing that I’ve read. Once again it’s quite difficult to criticize this eBook – it simply has too much good advice that far exceeds any negative I could come up with, but if someone held my feet to the flame and said “you must pick SOMETHING to disagree with” it would be our differing opinions on social media and it’s potential (or lack thereof) to influence a writer’s career. 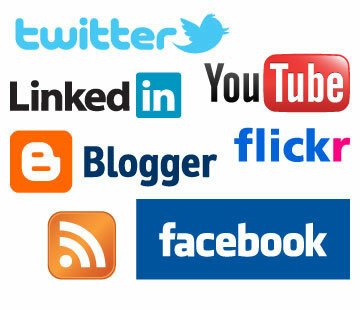 Personally I think social networking can be a valuable tool when used correctly, and can influence editors hoping to increase readership by publishing articles from writers who have a well-developed personal platform. I hope that Mr. Stevenson will remain open to learning from those writers who have learned to use social media to their advantage, and possibly consider a more thorough discussion of it in a future update to this book. Overall a very worthwhile book to add to your arsenal of educational materials. If you haven’t yet sold any articles or are still struggling with it, do yourself a favor and don’t try to reinvent the wheel, just get the book and follow the advice. NOTE: Mr. Stevenson has very generously agreed to give a 20% discount on this ebook to readers of this blog – simply by clicking on the link above or below, you’ll save $20 on your purchase (normally $99, you’ll pay only $79). And while all reviews here at TWE are unbiased, for the record, neither these nor last week’s links are affiliate links. I do not earn anything from your purchase. Sorry, that was a limited time offer which has since expired. This entry was written by Trisha Miller, and posted on Monday, August 29th, 2011. Helpful review. There are indeed many resources out there, and to find a recommendation to one that is concise, useful – and discounted! – is a treasure. Thanks. I have actually read quite a bit about Roy’s success and was heartened to see this positive recommendation of his e-book. Unfortunately, it seems like the discount code no longer works. Has anyone tried it? I’m sorry Gabi, that was a limited-time offer that has expired – I should have been more clear above. 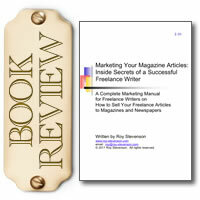 However, even at $99 the e-book is still very valuable and worthwhile if you need help getting published in magazines. Helpful review Roy! It helped me a lot. Nowadays, there are so many resources on the Internet but finding a reliable one is difficult. Thanks for sharing it! page is genuinely fastidious and the visitors are genuinely sharing pleasant thoughts. The book should be worth buying. Other reviews also say that the book is really helpful. Thanks for sharing.